You may like to know the way to directly download the Windows 10 ISO skipping the Media creation tool. You can do it very easily using a small trick, that you perform using Google Chrome Browser on Windows machine or simply use Non-windows platform for an example your Android or Mac device. So, now you know that you can directly download the Windows 10 ISO on Non-Windows Platform hence there is nothing much to talk about you just need to go the Website for Media Creation tool and need to follow the instruction. It will bring up the Developer Tool Bar on the right-hand side, Here you will be having small Toggle icon on the TOP of that bar. 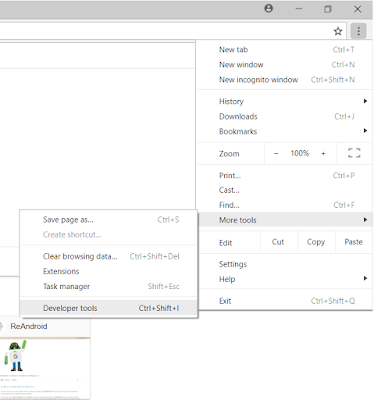 Select Toggle Icon to toggle the browser to view Mobile/Tablet website which will make Windows forget that the website is open on Windows platform and will just react the way it is on Non-Windows Platform. Now go to the Website for Media Creation tool and need to follow the instruction. Follow the instructions and it will give you option to down load the ISO directly instead of asking you to first install Media Creation tool. Once you get the ISO you can do multiple things like making Bootable USB/DVD media, You can do In-place Windows 10 Upgrade and more. Soon we will discuss about them as well. 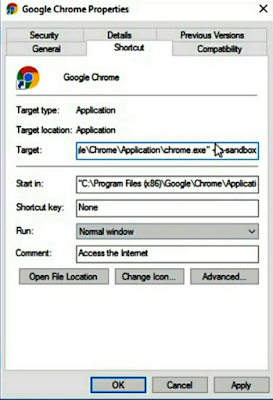 This method comes really handy when you have intermittent/Slow internet or you may not keep the computer on for a long time because google chrome offers you an option to pause the download and resume it later or resume the interrupted download. The application failed to initialize properly(0xc0000005).Click on OK to terminate the application. We identify that due to some glitch you may some time would be unable to install the chrome or run google chrome on your computer. We have easy fix for you to get this issue resolved. When every you are getting this error while running a program or installig a program easy fix is to create the shortcut icon of that application. 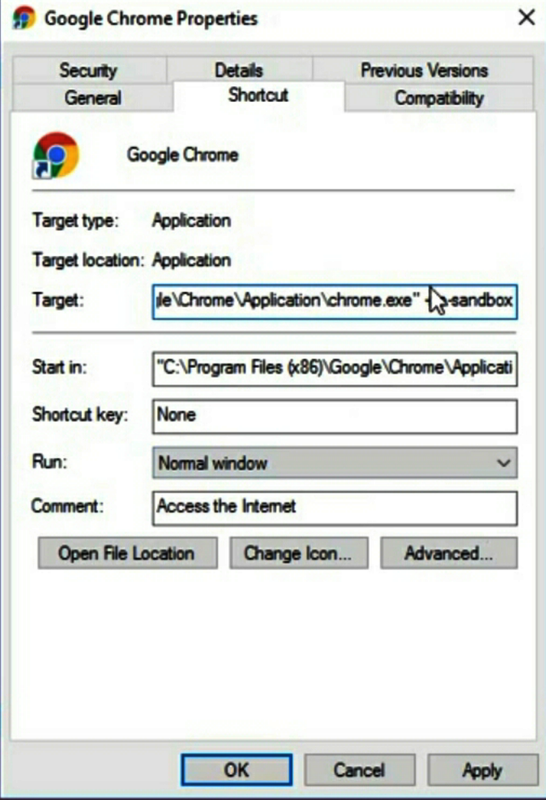 Once you create the shortcut icon go to the properties of that shortcut, you will find the target location in there just add -no-sandbox at the end of it and then run the program. Blank video on Google Chrome Browser. Google Chrome black screen while watching videos. Have you ever come accross the issue where Google Chrome is not able to display anything while playing online flash video or any of the contents from YouTube or similar online video streaming website where as you can still hear the audio and still video is playing good on other browsers. Yes it is a issue with minor glitch with Google Chrome Browser. 3) Hold Ctrl and press F. If you are using touch then open Chrome menu from top three dots menu icon and select "find on page" or you can manually scroll down and search for the option "Hardware Acclerator mode" and disable it. 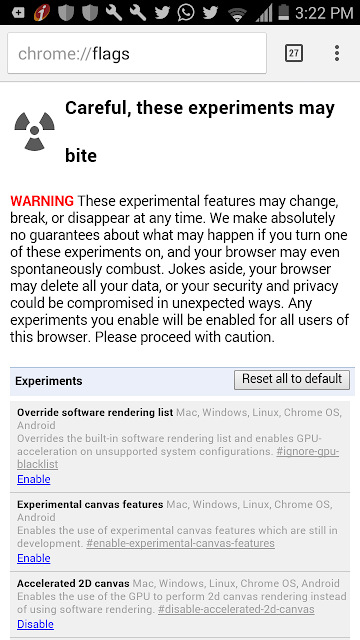 4) It will pop out option for Relaunch Chrome. Just click on it.